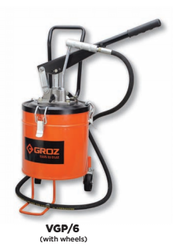 Manufacturer of a wide range of products which include maxilube air operated 50:1 grease pump, vgp/20 grease pump, foot operated grease pump, bucket grease pumps, bgrp/50 portable grease pump and vgp/6 grease pumps. CAT Nr. fiTs druM CoVer diA. follower plATe diA. Box QTy. cat nr. Cat nr. Box qty. 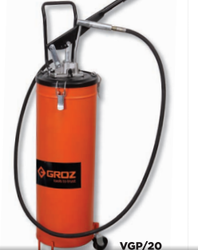 We have BGRP/30 Portable Grease Pumps of various capacities for grease dispensing. 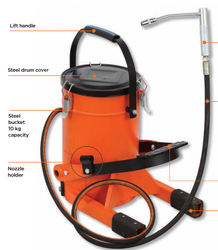 These lube pumps are broadly classified into two types: hand-operated and air-operated pumps. 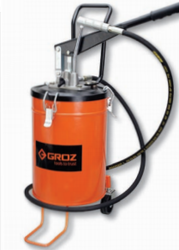 Hand-operated grease pumps are available in 5kg/10kg/20 kg drums capacity whereas, air-operated pumps have got drum capacity up to 200 kg. 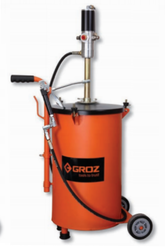 These high performance machines are suitable for pumping any grade of grease with optimum pressure ratio. Dispensing of grease at optimum pressure. 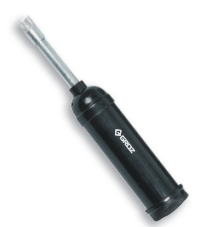 High performance pumps last longer. Longer life for high quality delivery hoses. Very convenient to use and portable. 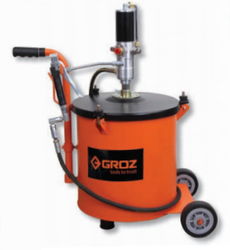 Body greasing and Hub Greasing of Light/Heavy Commercial Vehicles/ Earth moving Equipments. 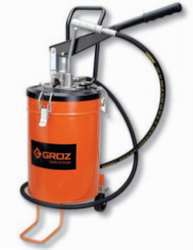 Other greasing requirements in Automobiles/Industries. 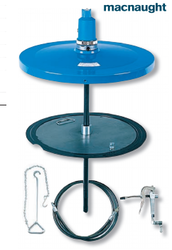 We are provider of VGP/15 Grease Pump. deVelops CAT Nr. CApACiTy Box QTy. 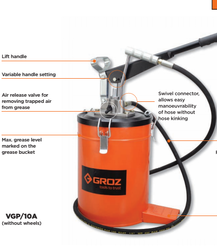 We are provider of VGP/6A Grease Pumps.